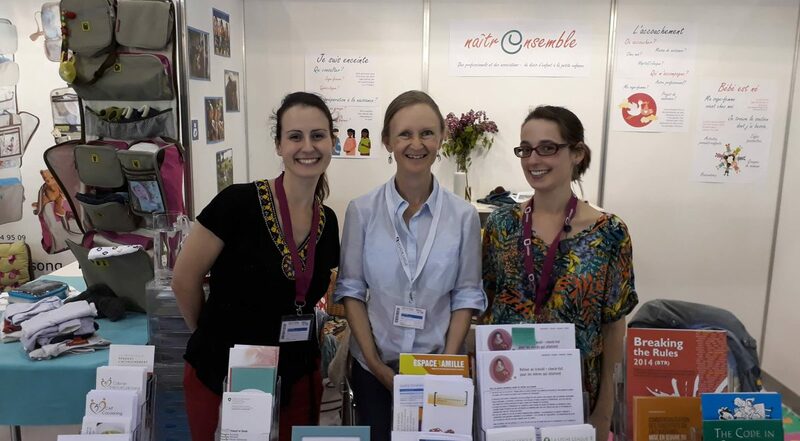 The Bébé et Moi fair took place this year at Palexpo, in Geneva, from the 7th to the 9th of April. Parents-to-be, parents and grandparents came to the 3-day fair and found a high number of stands with useful materials, flyers, books, products and services from a wide range of organizations and companies. IBFAN-GIFA participated in this fair and shared a stand with the NaitrEnsemble association. The stand organized the information available for the public in three categories: I am pregnant, Childbirth and The baby is born. Materials shared by IBFAN-GIFA included the International Code of Marketing of Breastmilk Substitutes and IBFAN-ICDC Breaking the Rules, Stretching the Rules report of 2014, among other documents.